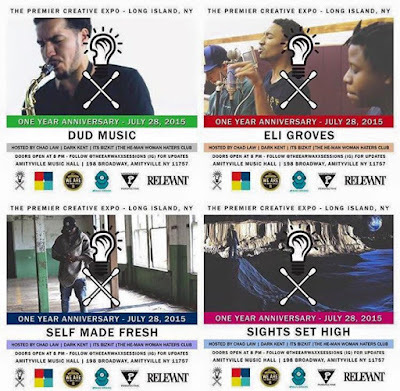 Tomorrow, July 28, 2015, Long Island's premier creative expo, The Earwaxx Sessions, celebrates its one year anniversary at the Amityville Music Hall (198 Broadway, Amityville, NY 11757) with performances by D.A. 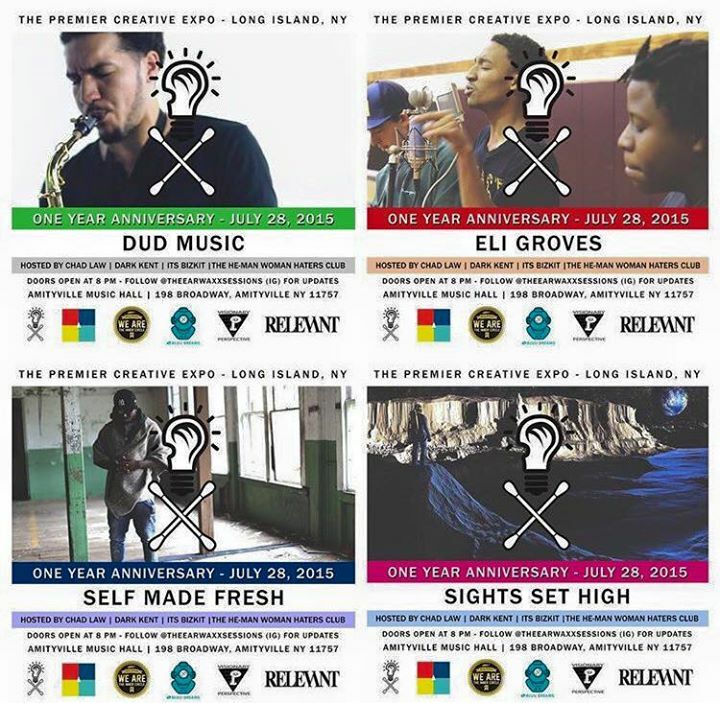 The Future, Skinny Rapture, Boom Side, Dud Music, Sight Set High, Self Made Fresh, Dane Lawrence and Eli Groves. 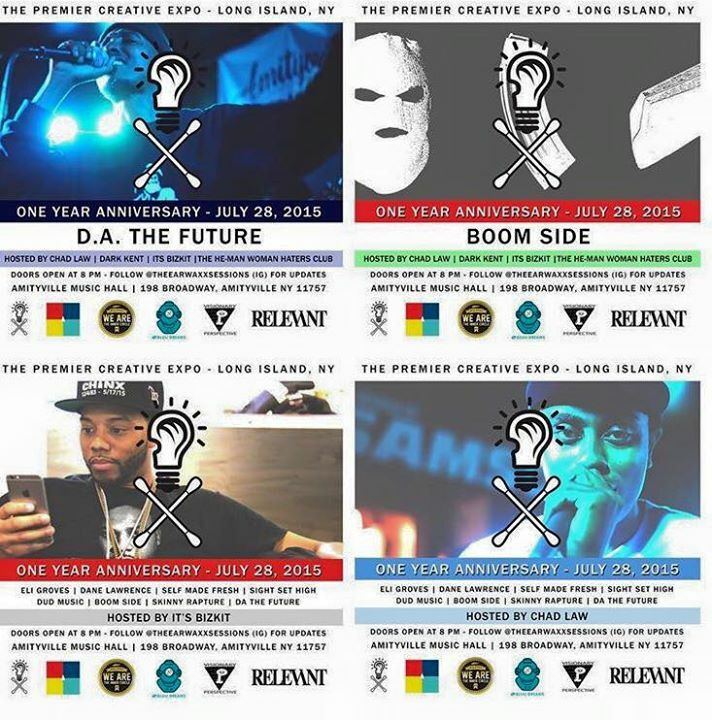 The event will be co-hosted by Chad Law, Dark Kent, Its Bizkit and The He-Man Woman Haters Club. Barring unforeseen circumstances, LongIslandRap.com will also be in the building. Doors open at 8:00. Follow @TheEarwaxxSessions on Instagram for updates. See you there.